The Play Store holds more than one million apps in its giant library. That is more than you can use in a lifetime. Developers constantly submit new apps and update old ones. These bring new type of apps, alternative apps as well as feature upgrades to your favorite apps. The app ecosystem present at the Play Store is quite enough for anyone with an Android device. But there are times you want to install applications from external locations. The Play Store is not the only place to find Android apps. There are several alternatives to the store. Those alternatives come in use when you want to install an app which is not present at the Play Store. Sometimes you also want to install apps which are not installable via the Play Store because of reasons such as device or geographical limitations. With many Android phones it is possible to install apps by downloading or copying .apk files from somewhere else and then installing it to your phone. 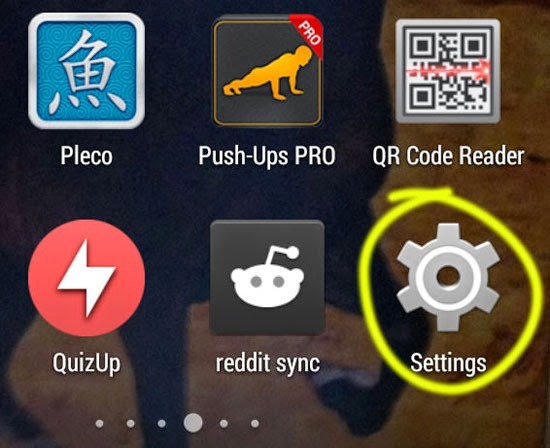 Open your Android phone settings, which is accessible from your app drawer. 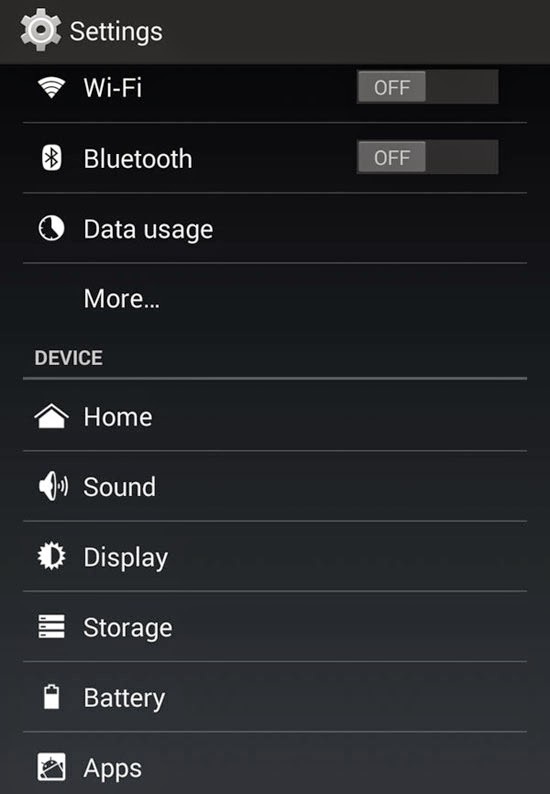 Your entire phone settings are displayed, which looks something like this. 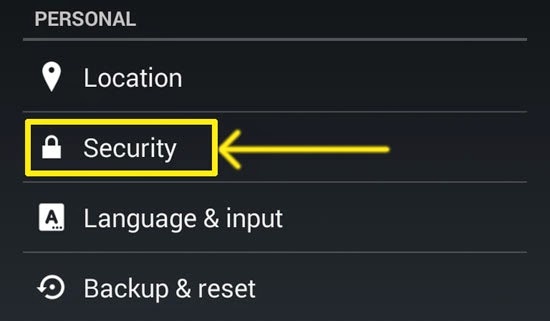 Under the "PERSONAL" heading of your phone settings, you will find "Security". Tap on it. 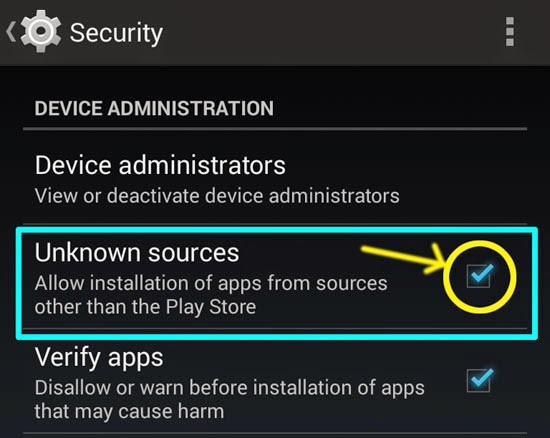 On the next screen, under "DEVICE ADMINISTRATION", you will find an option called "Unknown Sources". It does exactly what it says and that is: "Allow installation of apps from sources other than the Play Store". Check on the check box right next to "Unknown Sources" to allow it. Now you will be able to install external APK files obtained from external sources. Note: You will have to be very careful while downloading apk files and installing them. Get them from the correct sources. Some of them might be harmful to your device. Download the .apk file and locate it in your phone. It is normally stored in a folder called "Downloads". Access it with the help of any Android file manager app. Tap on it to begin the installation progress. Scan through the permissions it requests and then tap on install to begin the installation process. After the installation, the application will be present in your app drawer. It might also be located in your home screen.